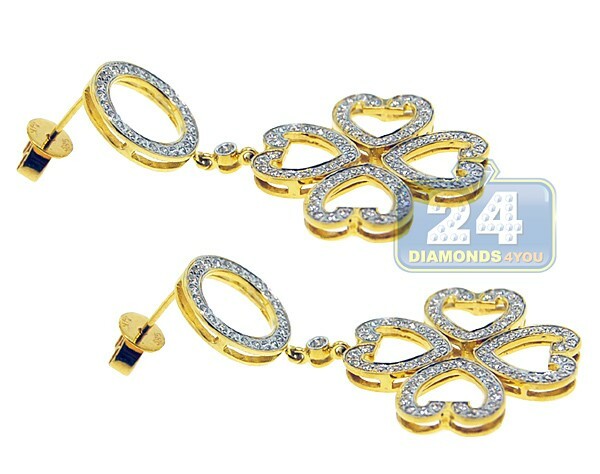 Unique design of our diamond dangle earrings is presented by four diamond hearts connected with each other in a nice way making a flower symbol! 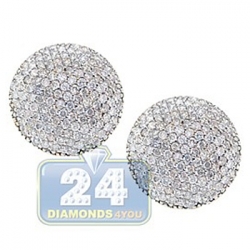 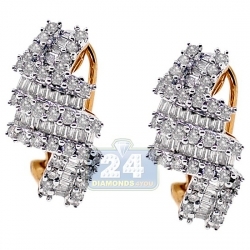 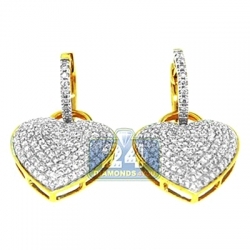 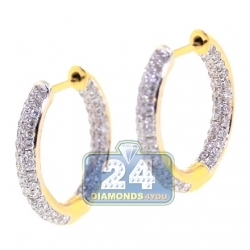 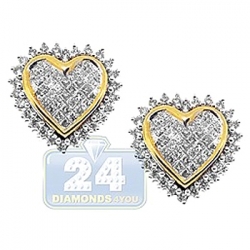 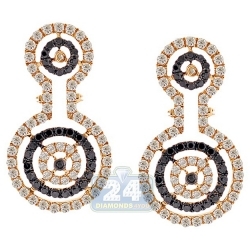 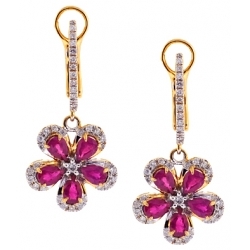 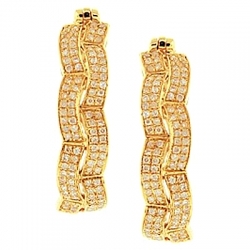 Artfully manufactured from warm 14 karat yellow gold, they have high-polished shimmering look. 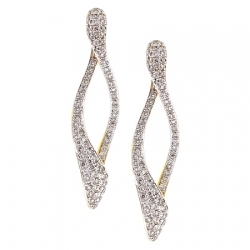 Our women's drop earrings are encrusted with icy white round brilliant-cut genuine diamonds, all weighting 0.88 carat (SI1-SI2 clarity, G-H color). 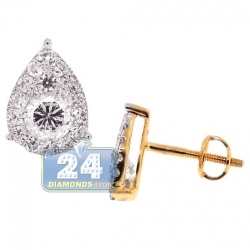 They also measure 42 mm in hanging length and 22 mm in width. 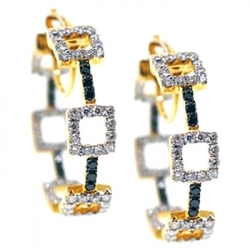 Comfortable push-back closures. 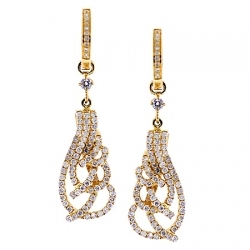 A very gentle look anytime!